My heart shudders when I think of this. Two minutes slower, my life would have been very different or non-existent. I ran the following year as a member of the Tufts Medical Center team. My father works for the Dental School, for patients with developmental disabilities, and Tufts is the closest hospital to the finish line. The symbolism was incredible motivation, pushing me to raise thousands of dollars. What is most interesting is- I don’t remember last year’s run, or at least not clearly. Sure, I have photographs. Family, co-workers and friends all cheered me on. I do remember the armed policemen on the roof of Hopkinton High School at the start, and I do remember meeting up with friends at a hotel near the finish. Certainly I remember the sunburn on my right arm, and my right arm only. But what lacks is any significant memory of this race. I didn’t run my fastest, though it was my fastest Boston run. I didn’t want to vomit as much as I had wanted to in 2012 when it was 80 degrees outside. I crossed the finish line and swiftly moved into the area to receive my medal, almost as if I were on a conveyor belt. Perhaps I was delirious, but I didn’t feel a thing. My muscles hurt, yes, but my emotions? Where were they? Fast forward to October 2014. I ran the best race of my life at the Chicago Marathon. I PR’ed but not only that, I felt great. 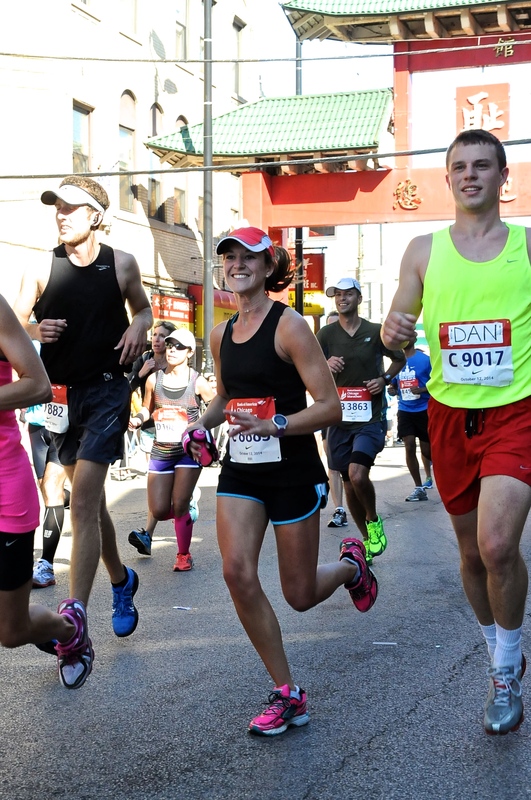 I smiled the entire race, meandering through the different neighborhoods of Chicago, trying to soak it all in. I was healthy, fast, strong- and not in Boston. My boyfriend and I coordinated where we would meet up after the race – “not near the finish line,” he said. I think I have internalized this for more than he meant, but I couldn’t help but think he was just as scared as me to hang out near the finish line. And now, I am currently preparing for the Vermont City Marathon in Burlington, VT on May 24th. Training hasn’t been easy with this winter weather (plus a sprained ankle, a head cold, etc. ), but I’m doing it. For myself, my health, blah de blah. The Boston marathon is approaching, though. April 20th. I can’t get that out of my head. It’s not that I wish I were running (I am actually glad to be taking a year off), but suddenly the emotions that I should have felt in my 2014 run are gushing out. Most likely this has to do with the press coverage of the trial. It’s hard to avoid it. I run through a crowd, and I can’t help but think, is that person on their phone about to detonate something? It’s unreasonable, irrational, and sad that I have these thoughts. I have told myself that I can’t watch this year’s race, even though I believe spectating is sometimes just as important as racing. As I prepare for the Vermont City Marathon, I will try to flush these emotions away. I am scheduled to run the Chicago Marathon again in October. 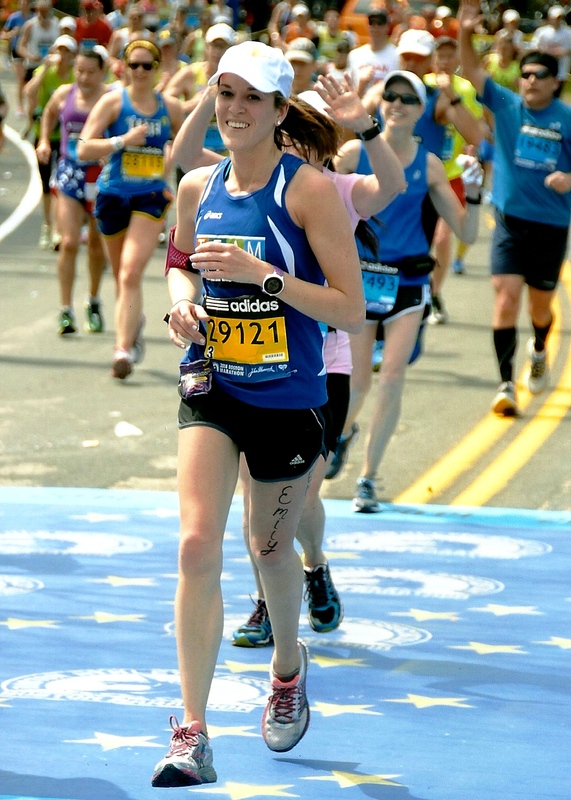 I qualified for the 2016 Boston Marathon, and pending that I get accepted into the race, I’m going to make sure that that race becomes the best race of my life. Perhaps I’ll be speedier, maybe just stronger, or perhaps I’ll finally be able to just let go.